Rosie Assoulin‘s Spring Summer 2017 Collection is everything. Everything I want to wear everyday for SS17! 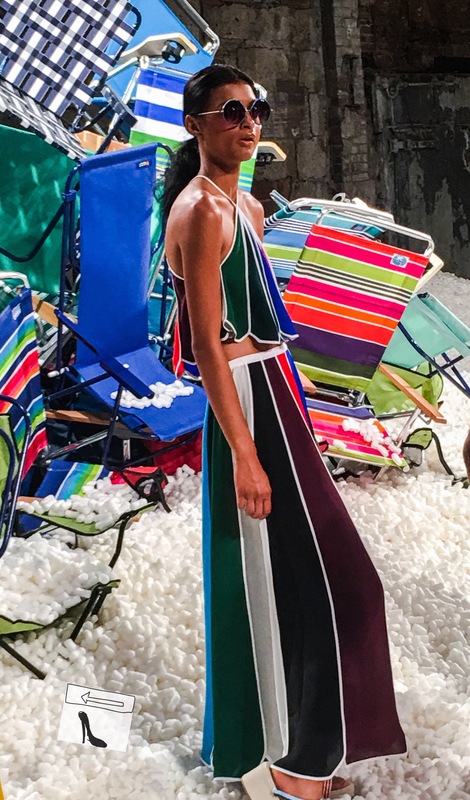 Rosie’s NYFW presentation was held in the meatpacking district in a cool urban concrete industrial space, that she transformed into the coolest interpretation of a beach. The sand dunes were comprised of recyclable packing peanuts, the palm trees were strategically placed throughout the space and there were fun, brilliantly colored, disruptive piles of foldable beach chairs on the beach. Voluminous khaki wide leg pants (seriously no other designer does a wide leg like Rosie), chambray denim, stripes that beg for an accompanying surfboard and florals that immediately transport you somewhere ridiculously happy and warm. Tangerine dreams dresses that beg for an outdoor event with a tent! 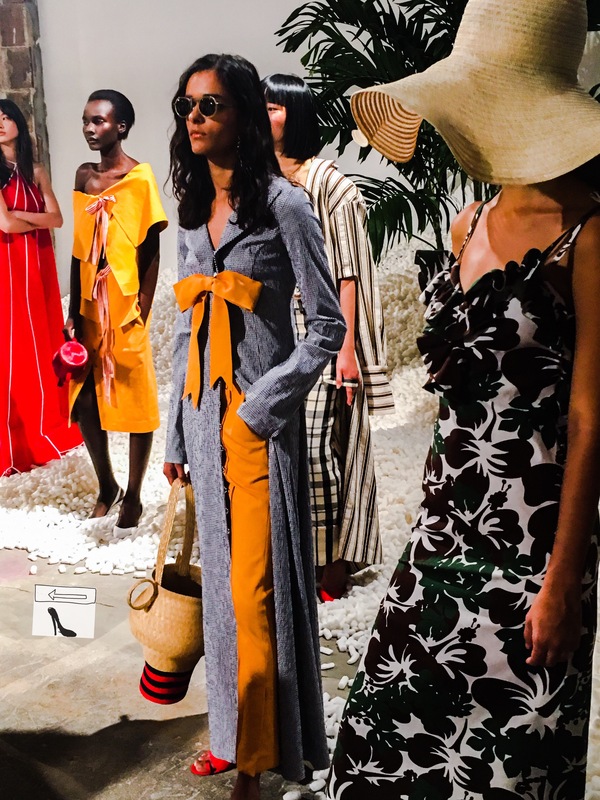 The only disappointing point of the Rosie Assoulin SS17 collection is that we all have to go through Winter 2016 before we can wear all this happiness! I went, I saw, I conquered. NYFW Spring Summer 2017 was my first. Attending NYFW was one of my primary goals when I started reversecommuter.com. To know me is to know that setting and achieving my goals is my raison d’être. Appropriately Jonathan Simkhai‘s show was my first. He is one of my absolute favorite designers, and being personally invited to his show was a major high point not quickly forgotten. 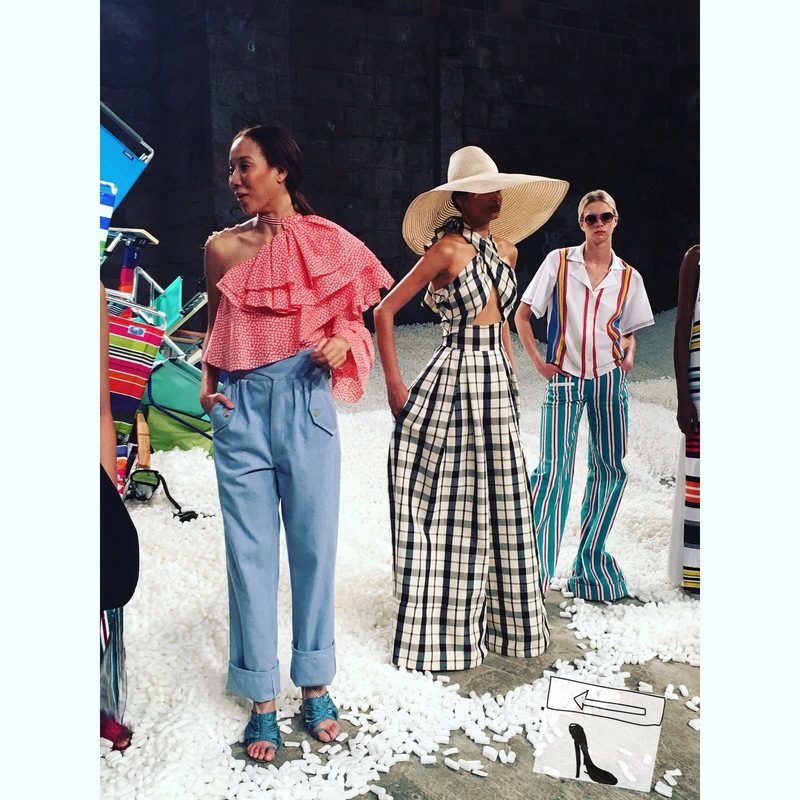 The show was packed with instagram’s hotshots, Olivia Palermo, Ashley Graeme, Jamie Chung, Kylie Jenner, Joe Zee and Brad Goreski to name just a few. Jonathan Simkhai has quickly skyrocketed to super designer stardom, and so very deservingly. This show was inspired by the Watts Towers in LA, an architectural creation of 17 interconnected structures built with garbage over 34 years – there are still some brand identifying labels to be seen on pop bottles! This collection delivered a more polished version of his trademark cutout silhouettes, denim and Italian lace designs. SS17 collection’s ivory, silks, chiffons, satins, navy blues (yup, my absolute fave), soft baby blue chambrays and the textures, ruffles and tears made the n models’ movement beyond spectacular. The casting was exact with models in light, natural makeup, straight hair loose with undone unexpected braids scattered about. Jonathan Simkhai‘s line is found in Neiman Marcus, Bergdorf Goodman, Intermix, Saks Fifth Avenue and at www.jonathansimkhai.com. This scattering of high end retailers is all in walking distance in NYC. Trust me, I was searching for these gorg camel & navy pieces while attending NYFW and marched for miles to find them. Sadly they haven’t even been delivered yet and so reversecommuter is attempting fashion patience – so not my strong point! This might seem like a rather high end selection of retailers but his price point in comparison to his creations is kind to the fashion consumer. It is rare to find a talent this rich offering his designs with a price tag we can all reach. This SS2017 collection is all about layering and everyday luxury. In case you are wondering these are my absolute favorite two looks from the runway show. I was also invited to his After Party at a nightclub called The Blond. I mean, how could I not go?! 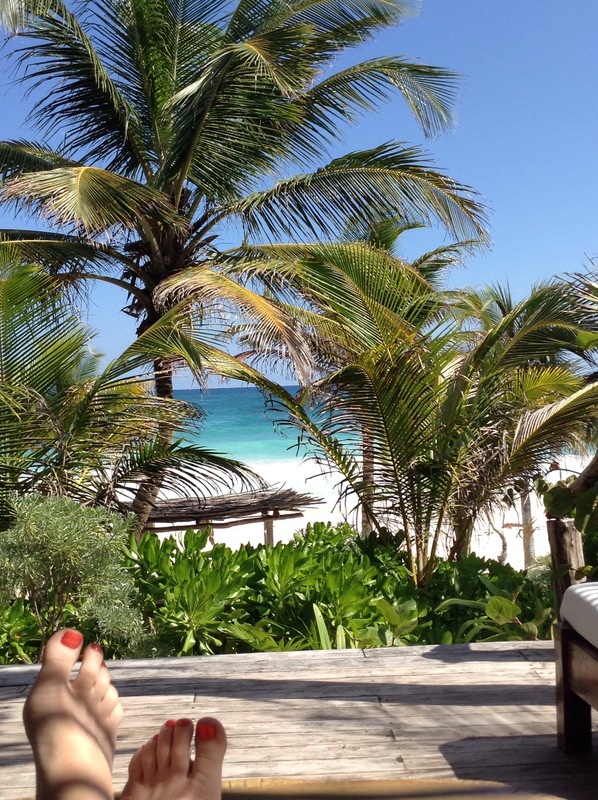 Blogging with an ocean view is not as easy as it sounds – the temptation to play is way to great! That is my excuse for a late submission today, can you really blame me? New York Fashion Week is officially underway. Devastated as reversecommuter is to have missed Jonathan Simkhai‘s crazy good show yesterday, at least I can drown my sorrows with a phenomenal margarita beachside. The signature ‘meshiness’ of his clothes makes me want to invest and layer up in Jonathan Simkhai pieces from head to toe, now and with the new Fall 2015 collection. Ready for a clever segway? Moda Operandi, the online boutique of immediate fashion gratification, has just received $60 MILLION Series E financing, with the most generous funding coming from Boston’s own Fidelity Investments. Great news for any fashion fan who NEEDS/WANTS the latest luxury fashion directly from the runway. 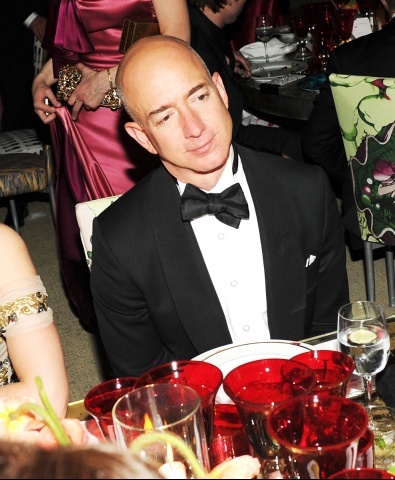 Bezos has grand fashion inspirations for Amazon (click here for more) so this new relationship is so very important! Enjoy the weekend, ignore the impending snow storms and pop the cork on that champs with wild abandon…while wearing something romantic & fabulous! 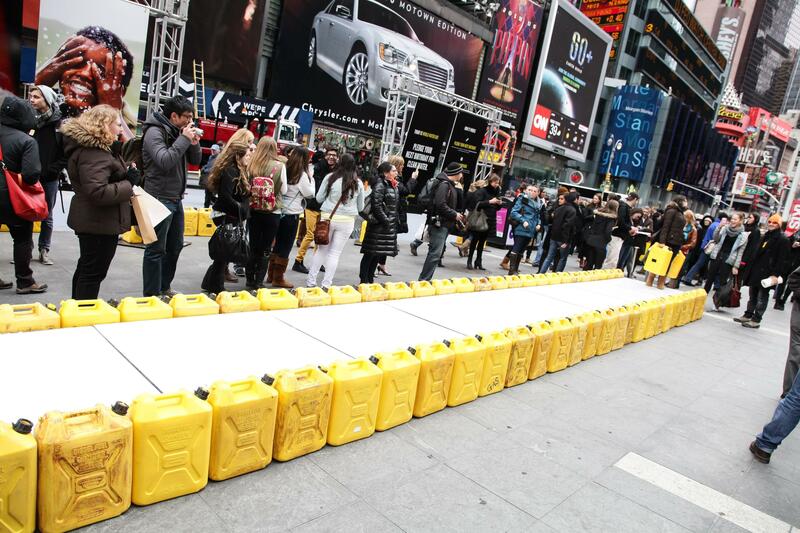 reversecommuter is walking the runway…in bare feet and carrying jerry cans! Clearly this is not for Fashion Week – but it should be! 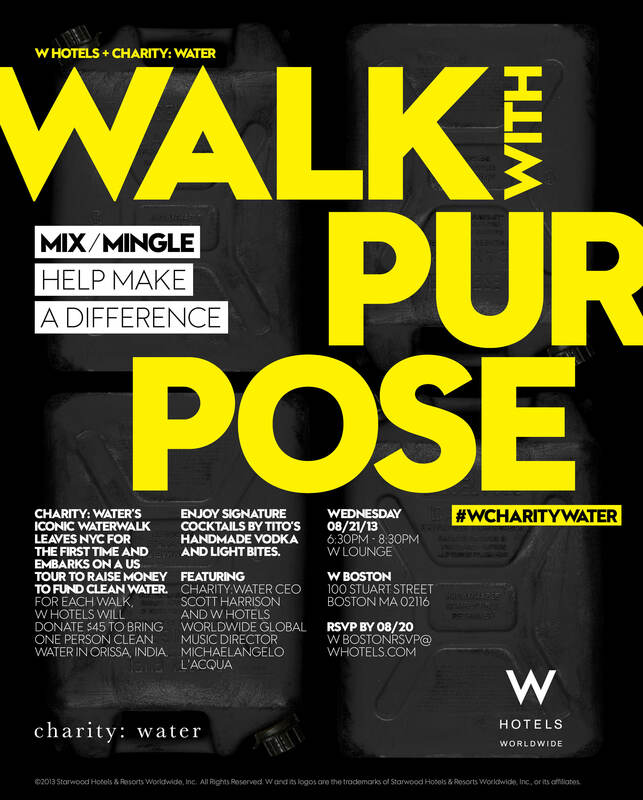 Wednesday August 21st at the W Boston is hosting “Walk with Purpose” to raise money for charity:water, a non-profit that provides drinking water to developing nations with 100% public donations. I read an article in the New York Times a few weeks ago that really peaked my curiosity. 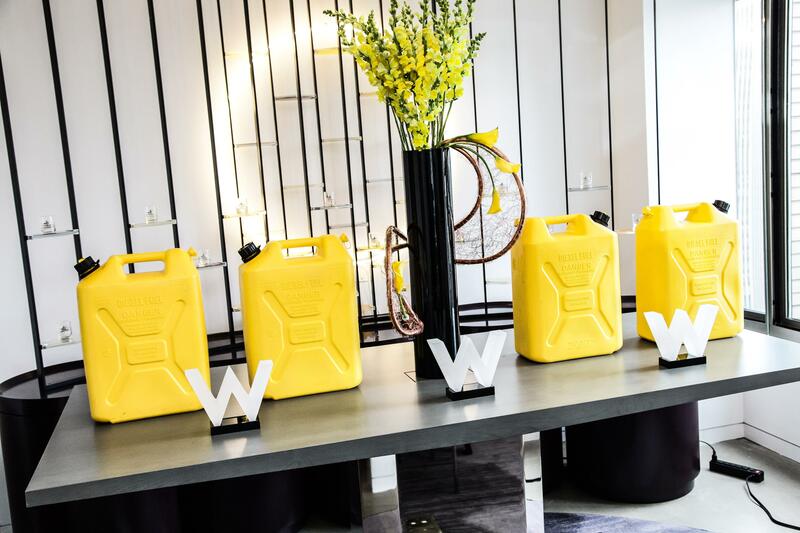 It was about Scott Harrison, founder of charity:water, taking a bunch of actors, activist and techie ka-zillion-aires to Ethiopia on a water mission. Click here to read the NY Times article that started my new obsession. Scott was a nightclub promoter in NYC in an earlier life and can probably make water sexier than Evian! Who else could hire an old plane and fill it up with the likes of Matt Mullenweg (hello co-founder of WordPress), Nathan Hubbard (ceo of Ticketmaster), Tony Hawk & Sophia Bush and set off to Ethiopia? Imagine my surprise when I was invited to W Boston’s WaterWalk?!?! The W Global Music Director, Michaelangelo L’Acqua will be spinning the WaterWalk – so you just know that SoundHound and Shazam apps will be VERY busy that night. Dare to dream there will be a playlist provided! He has had Jessica Biel, Sophia Bush, Jessica Alba, Seth Myers, and other Hollywooders strut their stuff on the Waterwalk, and now it is reversecommuter’s turn…. If you are near Boston and want to come support this phenomenal event, please rsvp to W Boston. Go Canada!!!! 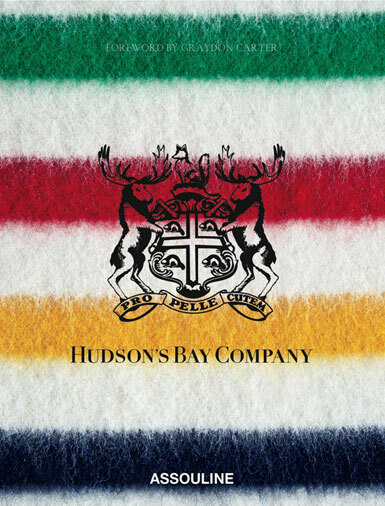 Sak’s Inc. has been purchased by Hudson’s Bay Co. As mentioned on reversecommuter (click here for the original post), Hudson’s Bay Co. went public in October 2012, and I really thought it was a good purchase – now that little Canadian stock will have both Lord & Taylor and Sak’s within it’s bundle! 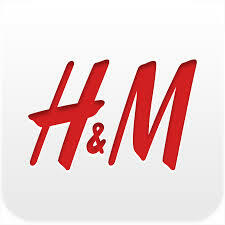 H&M USA is now an online e-tailing machine (took you long enough!!!!). Launched on Thursday August 1st the website offers online shopping but there are some restrictions – namely free delivery BUT shipping on returns is not. Also, returning merchandise to the store is not allowed. 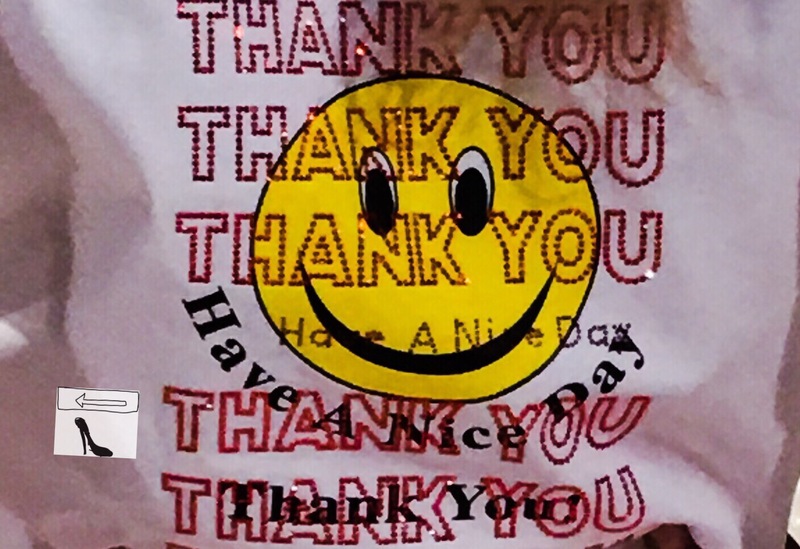 Click here to try it out! 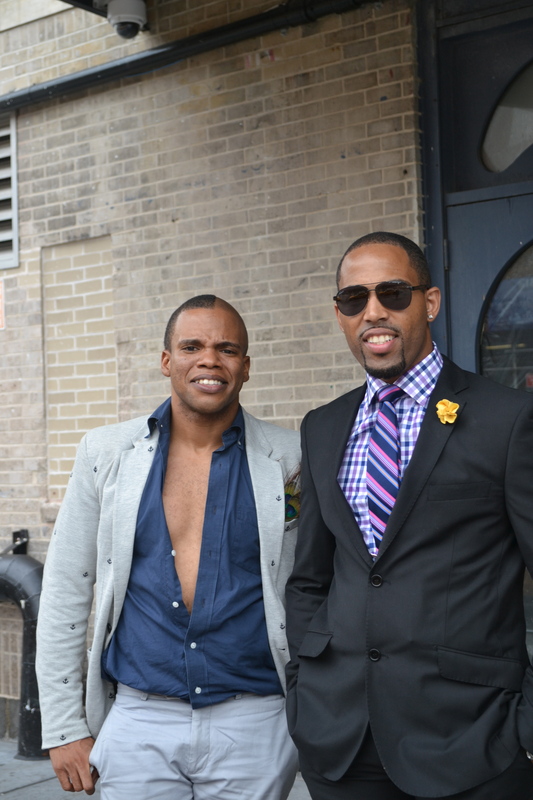 Bryan Boy (I seriously heart this fabulous Canadian fashion machine – I like to think of us as kindred Cnd Fashionistas!) is one of the judges for the social media campaign created to celebrate the US launch of H&M’s e-commerce site, H&M’s 50 States of Fashion – click the blue to read all the details. Click a pic of you in your fave H&M purchase, post it on Instagram with the hashtag #HMShopOnlineNY. You could win $1000 shopping spree at H&M and a trip to NYC for Fashion Week! WHOOP WHOOP!!!!!! Enjoy the weekend – dress up in something ridiculously fab, squeeze the ones you love and raise a glass of champs to all that makes you happy! Or is it perhaps THE perfect day for a pirate fight? 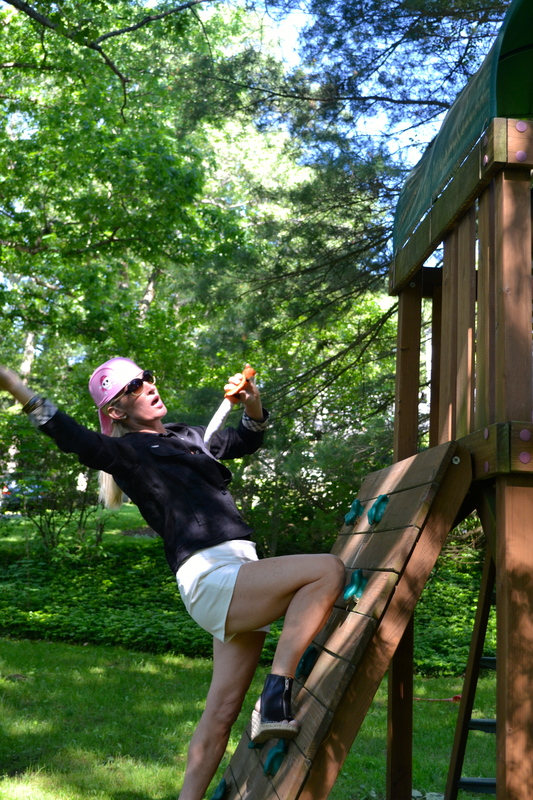 Despite the easy movement provided by my J Crew pleated shorts, I succumb to my injuries…. Don’t worry, I am a tough fashion obsessed pirate who will live to see another day, another Fashion Week, another Fall Collection…. J Crew pleated shorts, Burberry linen jacket, Alexander Wang tank, Celine espadrilles. Fashion Week in NYC is phenom. It is fantasy at it’s best. And for the fashion obsessed it is the Mecca – truly! 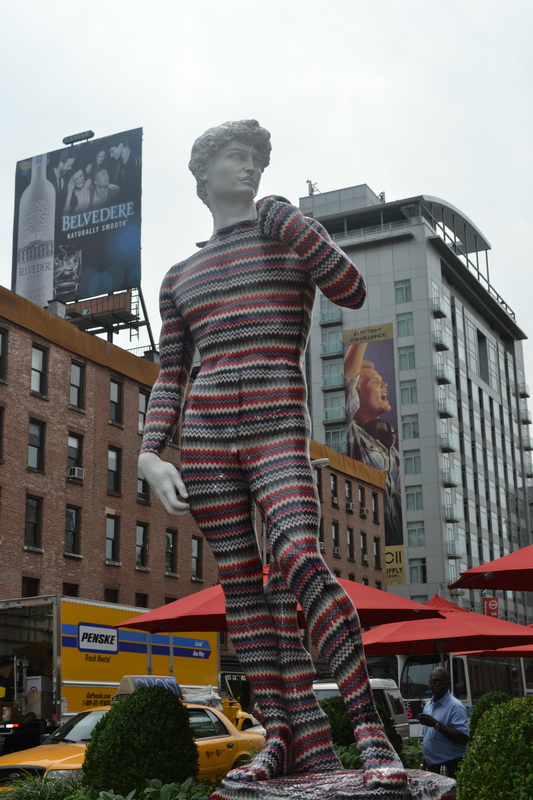 Where else would Michelangelo’s David be found draped in Missoni? 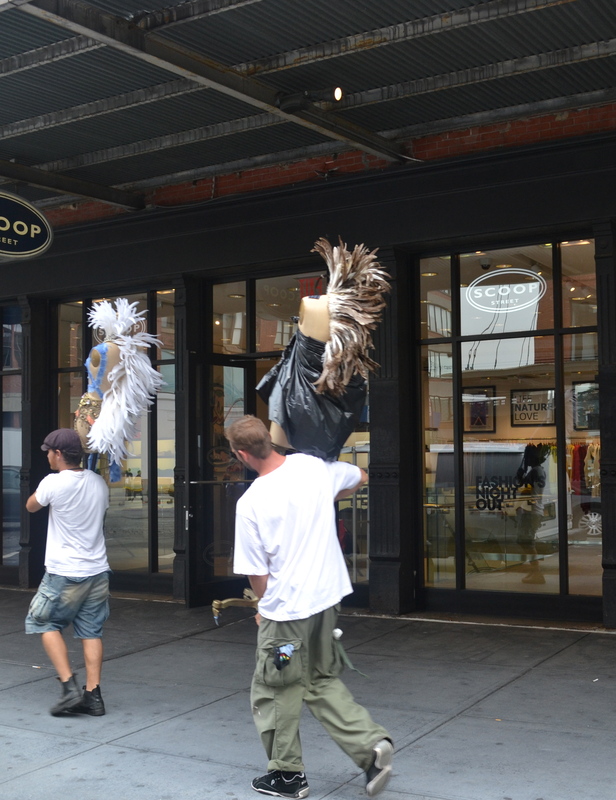 Running around NYC during Fashion Week ensures plenty of entertainment – day and night! 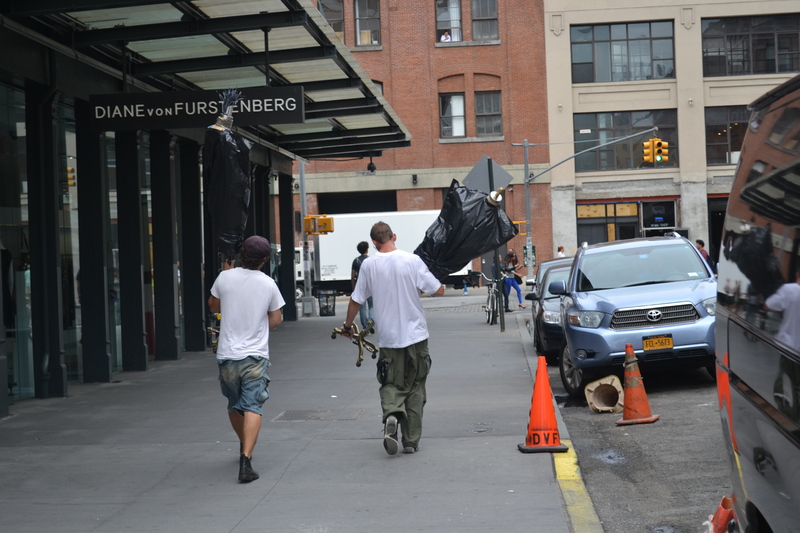 Obviously there is the world famous shopping to keep you busy…. Clearly she has set her sights upon her prey….